Connect Link Unite Join Bring Together. Join Brian & Gaby G on the Mayan Riviera for our fifth annual winter yoga retreat! The Cancun Yoga Retreat offers a balance of adventure and relaxation, nourished by a strong sense of ​community. This year, our retreat will be hosted by Casa Om, located in Puerto Morelos, Mexico. Casa Om is a nurturing, health conscious environment perfect for a relaxing retreat and the deepening of your yoga practice! The retreat offers two daily yoga classes led by Brian and Gaby’s experienced teaching. Utilizing meditation, asana, mantra, and pranayama, guests will deepen their connection to their individual practice while tuning into the energy of the land and culture. The opportunity to unplug and immerse in whole, simple living will support you in unwinding and moving towards clarity. A balance of native spirituality and yoga philosophy will encourage transformation towards Self-knowledge. Casa Om is just 15 miles south of Cancun and is located directly across the street from the ocean. The retreat center is a short walk away from restaurants and shops, giving guests the option to explore local culture. 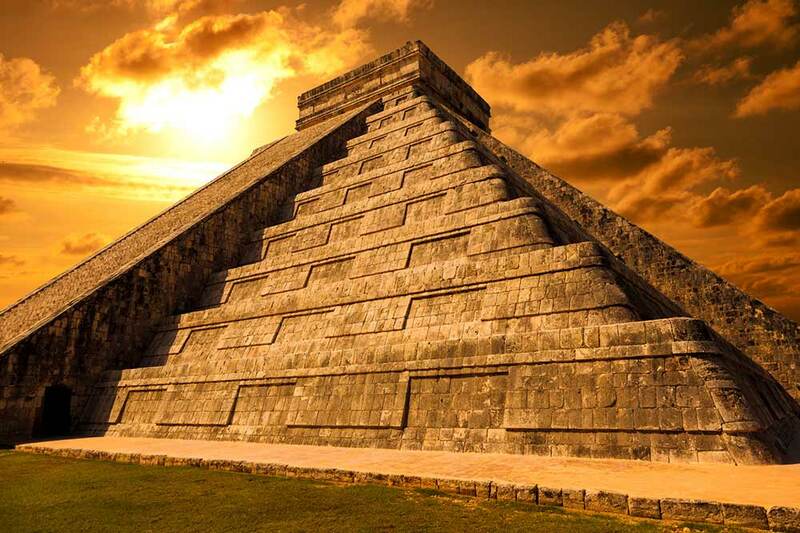 We will enjoy a group trip to Chichen Itza, one of the modern wonders of the world! Other optional activities include SUP, swimming, botanical gardens, snorkeling, exploring a local cenote, and spa services. Join us in cultivating community, connection, and whole living on our fifth annual winter retreat in Puerto Morelos, Mexico! Scroll down for the slideshow & adventure details and policies. Airport ransfer to and from Cancun (CUN) included! Day trip to Chichen Itza included! $500 non-refundable deposit paid cash, check, or venmo. Credit cards accepted w/additional market fee. Cancellation policy: Your deposit is non-refundable. Full refund (minus deposit) for cancellation 2 months prior to retreat start date. No refunds for cancellations after 1/11/2018. Waiver must be signed and returned prior to retreat start date to participate. ​Casa Om has a policy of no smoking, no drugs, no alcohol, no meat and no pets.